Texas is filled with hidden treasures. The next time you're on a road trip and find yourself in Central Texas, driving from about Austin to Houston, bypass the Buc-ee's (we know it's blasphemous) and make a celebration of your roadside meal. From charming favorites to unexpected hidden gems, these spots are worth the detour. You may recognize this spot from elementary school field trips to see Independence Hall at Washington-on-the-Brazos. After peeking into pioneer tents, touring the museum, and seeing where Texas was founded, you’re hungry. Good thing there is a 100-year-old grocery store turned barbecue joint adjacent to it, because there’s not much else in the area. Eight miles from Navasota and 20 miles from Brenham, R Place is a drive, but well worth it. 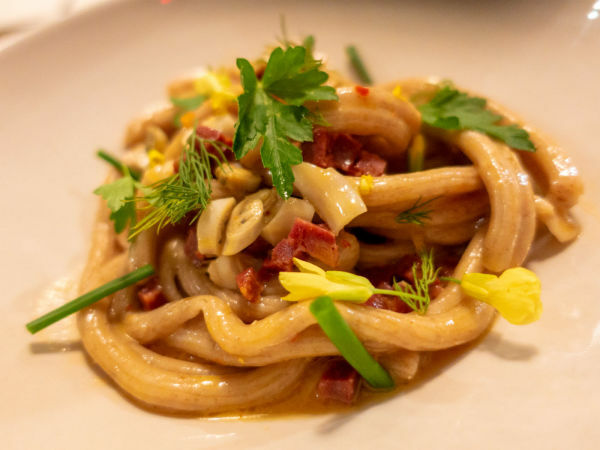 Road bikers and car clubs stop in frequently, as well as many local ranchers proud of this quiet joint, which seats up to 40 on Saturday night with reservation-only prix fixe fare. Recent menus included a brie and pesto starter; ribeye steaks with garlic mashed potatoes (proprietor Randy Rogers, also a chef, turns them on the back grill where he also smokes the brisket); and grilled salmon with a bow tie pasta in a caper cream sauce. His beer and wine menus don’t disappoint, and he makes the huge peach cobbler from scratch, as he does the pinto beans and German potato salad (read: more tart than rich). It would be un-Texan to not serve Blue Bell ice cream, and the restaurant pairs it with cobbler to please tourists and die-hards alike. Open only on weekends. Steakhouses in Texas are as common as Tex-Mex joints, but don’t take for granted the quality of an otherwise unassuming mom-and-pop establishment — brown panel walls and casually dressed patrons included. JW’s Steakhouse has zero pretense and better quality than most (yes, I said that) higher brow joints in big cities, and it even boasts a Willamette Valley Pinot Noir. 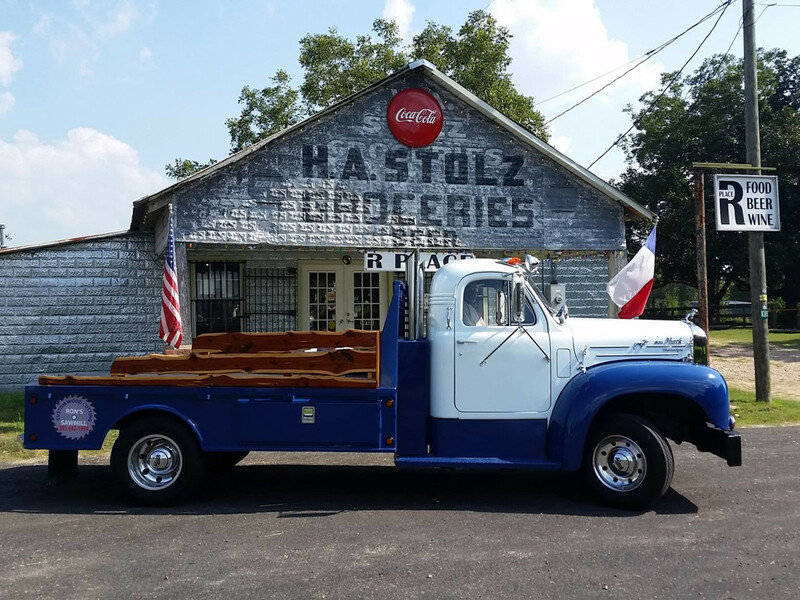 Just up the road from wonderful Round Top, it’s a great halfway point between Austin and Houston on 290 in Carmine — and the perfect end to an antique hunting adventure. 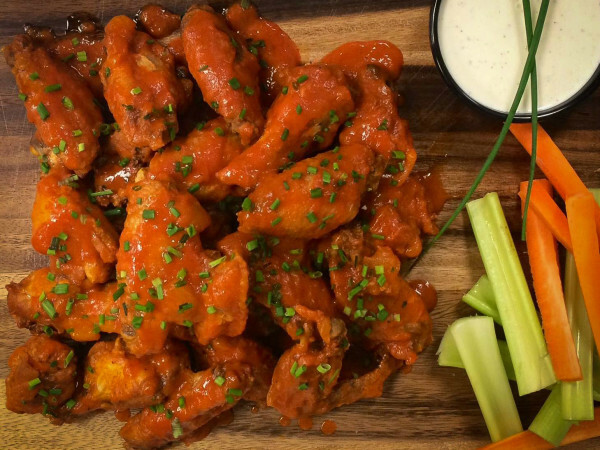 Try homemade onion rings, a certified Angus bone-in ribeye steak with baked potato and side salad, or chicken-fried steak and a vegetable of the day — all great values. Open Tuesday -Thursday from 11 am-9 pm, Friday and Saturday from 11 am-10 pm. Closed Sunday and Monday. Located just east of Austin in the Garfield Community Library, this is a community center/breakfast joint that stays open for lunch. (Customers kept begging, so the owners obliged.) This has long been a favorite of locals camping out along the Colorado River east of Austin and those who want to avoid all the pomp and circumstance of downtown $12 eggs (and where a side of sausage is extra, tsk-tsk!). If you just want great service, great value, and a smile, Hit the Spot Cafe will welcome you, no matter how fancy your shoes are. With chicken-fried steak, homemade tortillas and carne guisada, and homemade biscuits for breakfast served all day, this is one secret we hate spilling the beans about. Open Monday-Thursday from 6 am-3 pm, Friday from 6 am-9 pm, Saturday from 6 am-3 pm, and Sunday from 7:30 am-3 pm. If you find yourself anywhere near Highway 71 East and I-10, you’ll have an opportunity to duck into Smithville, as it’s just off the highway. The sweet town will delay you though, so allow time; Smithville's antique shops and restaurants are incredibly charming. Weekly sushi? Yep. Margarita specials? Yes. This place screams Texas — plus it skips the screaming TVs in every corner typical of so many cafes. While you don’t expect refinement just off a town square, the warmth of the staff keeps it cozy as they inspire you to try a new region of wine or entice you with a fancy cocktail, crab cakes, or oysters on the half shell paired with Italian prosecco. Open Wednesday and Thursday from 5-10 pm, and Friday and Saturday from 5-11 pm. If you know anything about Brenham or Chappell Hill, you love them. Both towns — separated only by a few miles — bring antique lovers from all over Texas, and Brenham's town square has at least a dozen shops to peruse. A new reason to get to Brenham, though, is 96 West, a fantastic tapas-style restaurant and wine bar also right on the square. Serial proprietors and locals Tami Redshaw and Edward Smith III opened the restaurant about a year ago with amazing specials, brunch worth brunching for, and craft beer. Smith is the unofficial sommelier, and it’s best to go on a night when he’s pouring. Order a hand-selected rose paired with mushroom flatbread, and you won't believe you’re in a small town. They use ingredients from local farms whenever possible, and with better soil east of Austin than west, it’s a true farm-to-market town. The Home Sweet Farms Market Artisan Cheese Plate, stuffed chicken breast, and Asian quinoa salads please the health foodies, and chicken-fried steak and frites keep the locals fueled. Open Wednesday and Thursday from 4-9 pm, Friday and Saturday 11 am-10 pm, and Sunday from 11 am-3 pm.